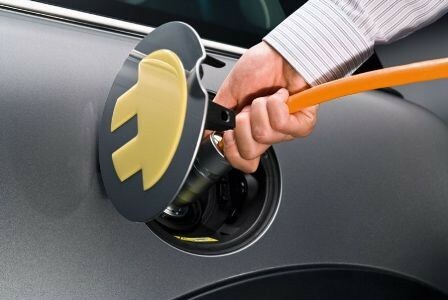 Just like petrol or diesel engine cars, the consumption of electric cars depends on the model and the manufacturer. However, we don’t talk about “litres per one hundred kilometres”, but about “kilowatt hours per one hundred kilometres”. It is difficult to calculate the exact consumption of an electric car, because numerous factors have to be taken into account. However, the cost in electricity per 100 kilometres is well below € 3 (or even € 2 for some vehicles). What is the pump price? Most electric vehicles cover between 80 and 100 kilometres with 10 kWh. Their low energy loss makes means that they are not very energy intensive. While petrol or diesel engines convert a maximum of 35 % of this energy into driving force, an electric car reaches 90 % and more. the consumption of the vehicle depends on its range, the capacity of its battery and the type of driving. However, it can be estimated that the cost in electricity for one hundred kilometres is well below € 3 (or even € 2 for certain vehicles). So it is lower than that of internal combustion engines for the same distance. But even if this quick calculation argues in favour of electricity, let’s not forget that electric cars are still slightly more expensive to buy. Furthermore, the lifespan of an electric car battery is generally shorter. An expense to keep in mind, as this comes on top of the initial energy cost.